There's growing activist energy among current and recent med students—and they're eager to help lead the campaign for equitable legislation. Upon finding out what residency programs they&apos;d been matched with this spring, some 310 fourth-year medical students have taken the #MatchDayPledge, a social media campaign that invites the next crop of first-year residents to snap selfies alongside a signed commitment to fight for "improved Medicare for All." The initiative was sponsored by Students for a National Health Program, or SNaHP—a single-payer advocacy organization with 1,400 members and chapters in over 60 medical schools—whose annual conference in New Orleans this March culminated in a demonstration on the steps of city hall, where they demanded an equitable health-care system financed by a single, public insurance pool. 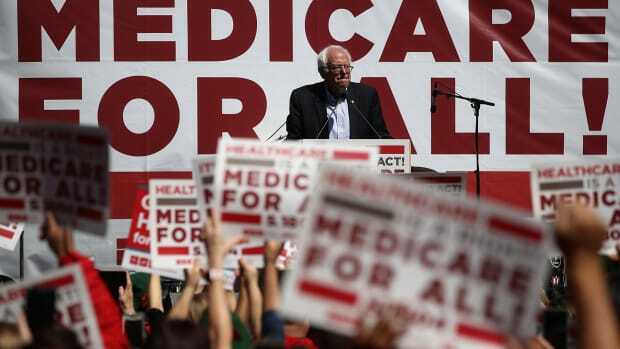 Such actions may not command outsized attention relative to the overall Medicare-for-All campaign, which grew considerably after Bernie Sanders&apos; 2016 primary run and counts among its supporters groups like National Nurses United, the AFL-CIO, the Democratic Socialists of America, and several national Democratic figures, including Congressman Keith Ellison and Senator Elizabeth Warren. 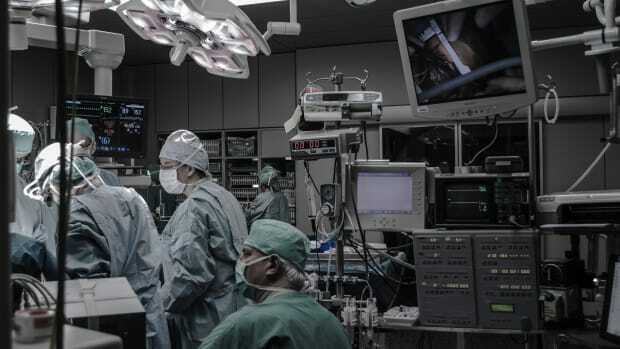 But the heightened participation of medical students within the movement signals an apparent shift in the way that some future physicians interpret their public duties as they step into their new roles. As the Affordable Care Act teeters after a stormy few years of legal onslaught, volatile exchange markets, skyrocketing premiums, shrinking coverage options, and just-missed repeal efforts, young doctors stand to be a key bloc influencing the direction of American health-care reform, which voters cite as a top concern for 2018 mid-terms. In recent years, left-of-center political activism among medical students has grabbed headlines across the country, including die-ins staged by the racial health justice group White Coats for Black Lives, and student-led ACA sign-up drives and gun-control demonstrations. If SNaHP&apos;s recent growth (the group&apos;s numbers are up 50 percent since 2016) is any indication, today&apos;s students are poised to find themselves on the front lines of a protracted political battle over the future of a profit-driven health-care system that many of them intend to dismantle and fix from within. It hasn&apos;t always been this way: Medical school curricula can be notoriously divorced from the broader social and political context that shapes the lives of students&apos; future patients. Instructors often maintain an expressly apolitical posture toward political issues, and practicing physicians are encouraged to do the same; as Dr. Thomas S. Huddle put it in the journal Academic Medicine in 2011, "Advocacy on behalf of societal goals, even those goals as unexceptionable as the betterment of human health, is inevitably political. ... Official efforts on behalf of advocacy will undermine university aspirations to objectivity and neutrality." As I reported this story, a few dozen current and former medical students told me they&apos;d received only minimal exposure in classrooms to material about health-care financing in general, let alone about single-payer specifically. Augie Lindmark, a third-year at the University of Minnesota and a SNaHP board member, tells me that, as for most students, his introduction to these ideas was extracurricular. It wasn&apos;t until attending a talk by Dr. Steffie Woolhandler, the co-founder of PNHP (Physicians for a National Health Program, of which SNaHP is the student arm), that he came to appreciate fully the dire state of health-care financing in the United States. Illness, Lindmark came to realize, results from the dynamics of capitalism as much as from germs or lifestyle. He was maddened by the lack of political content in his coursework, and at SNaHP, he found like-minded students convinced that they are witnessing real momentum toward the biggest health-care policy shift in American history. "These are people who are very excited, very disenchanted with the system as it is, and want to work under something else," Lindmark says. "I think students are at the front lines of leading that push." This confrontational posture places these left-leaning students at odds with many of their historical predecessors, who have often prioritized professional and financial interests over reforming health-care financing. During the administration of President Harry Truman, the American Medical Association famously beat back a once-popular proposal for national health insurance by launching what was then the biggest lobbying campaign in American history. 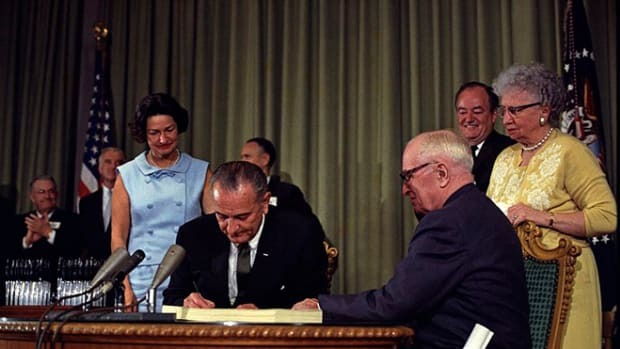 The AMA smeared the public plan as "socialized medicine," and the organization&apos;s successful campaign against Truman helped entrench the private, employer-based system that we&apos;re still stuck with today. Just over a decade later, the AMA allied with industry representatives to try to defeat Medicare and Medicaid—only to pivot, enthusiastically, once it became clear just how conciliatory legislators intended to be in carving out lucrative roles for the private sector. While the AMA (and physicians more broadly) have been more supportive of reforms in the decades since, their endorsements have largely come with caveats to protect their autonomy and, above all, their salaries. This year, SNaHP led an effort within the AMA&apos;s student wing to encourage the group to endorse Medicare for All. 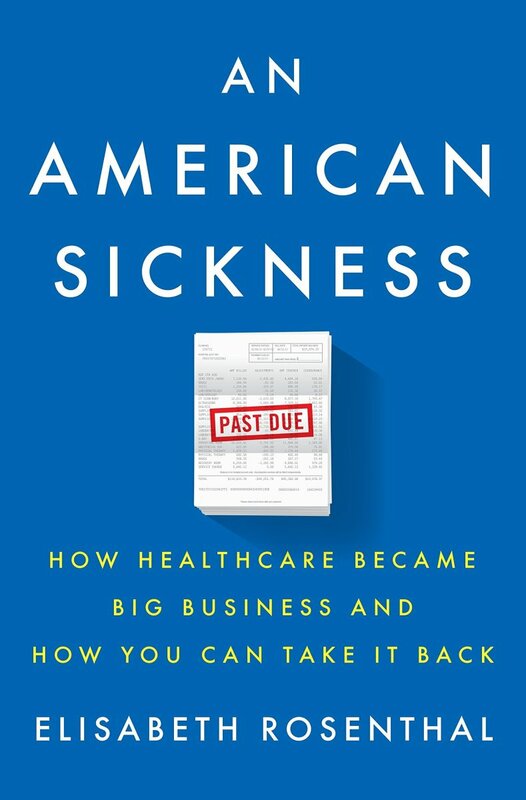 An American Sickness: How Healthcare Became Big Business and How You Can Take It Back. It isn&apos;t terribly hard to figure out why many U.S. physicians would resist transformative health financing reform, even if Medicare did end up being more of a cash cow than their propaganda in the 1960s had warned. For many decades, doctors were among the parties who derived the greatest advantages from commodified health care. 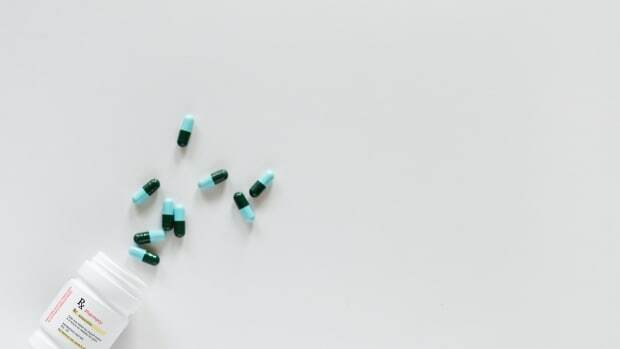 The structural shortcomings of a piecemeal, for-profit system leave insurers unable to negotiate prices effectively, resulting in staggering medical cost inflation that has tended to benefit physicians. By covering all Americans in one unified insurance pool, single-payer systems—like those envisioned in bills sponsored by Sanders and Ellison—would leverage federal bargaining power to drive down reimbursements paid to providers. In peer countries that employ similar health-care cost controls, doctors earn some 40 percent less than their American counterparts—and, as Elizabeth Rosenthal notes in her book An American Sickness: How Healthcare Became Big Business and How You Can Take It Back, while most Americans have struggled to make do amid lackluster job prospects since 2009, doctors&apos; pay has risen steadily. 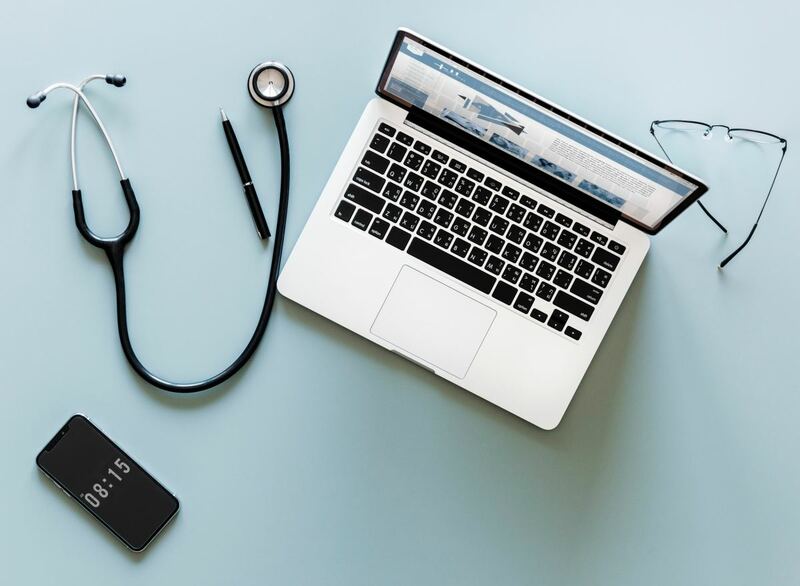 And, given that the average U.S. medical student graduates with $170,000 in debt, there are strong incentives to protect the status quo even before becoming a part of it. But there is evidence that this self-interest among doctors is changing too. Polls show that 56 percent of American doctors now support a single-payer health system, up from 42 percent in 2008. That shift may partly reflect the recent erosion of the traditional advantages that doctors long held within the system. Rampant industry consolidation has left more than 50 percent of doctors working for larger corporate entities, rather than owning their own practice, and physicians can expect to spend over twice the amount of time on the complicated administrative work our system demands than they&apos;re able to spend with patients. And, of course, doctors see firsthand the harm that inadequate insurance coverage has done to their patients: Tens of thousands of Americans die each year because they don&apos;t have insurance, even after the reforms of Obamacare. "I&apos;m banging my head against the wall every day just trying to get my patients the care they need in this broken system," explains Dr. Richard Bruno, a family physician who co-founded SNaHP as a med student in 2011. The failures of that system can have grave effects on doctors themselves, among whom suicide rates are on the rise. 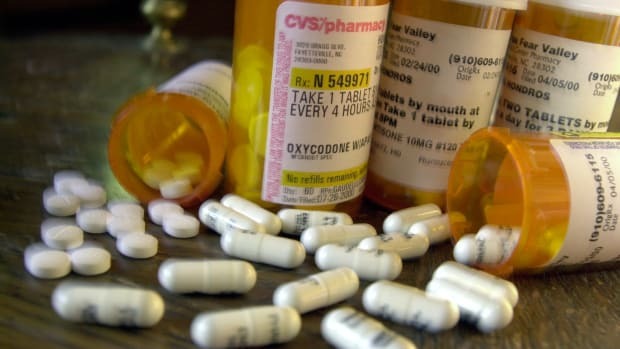 Their anguish, many argue, is ascribable to the very system harming so many of their patients: "Doctors are just trying to survive day to day ... they&apos;re victims of the system too," Bruno says. Bruno is heartened by SNaHP&apos;s growth: "I&apos;ve never seen a more active group in all the orgs I work with.... While they&apos;re learning how to stop disease, they&apos;re spreading their passion for health justice; it&apos;s beautiful, really," he says. Students do have a historic track record in helping to advance progressive movements: They can have the advantage of being able to shape institutions as they move through them, establishing new political norms from the get-go that stretch the boundaries of currently acceptable discourse within the profession. And given the AMA&apos;s politically decisive role in knocking down a single-payer plan during Truman&apos;s presidency, and the group&apos;s critical roles in the health-care system overall, doctor buy-in will be essential to achieve Medicare for All. 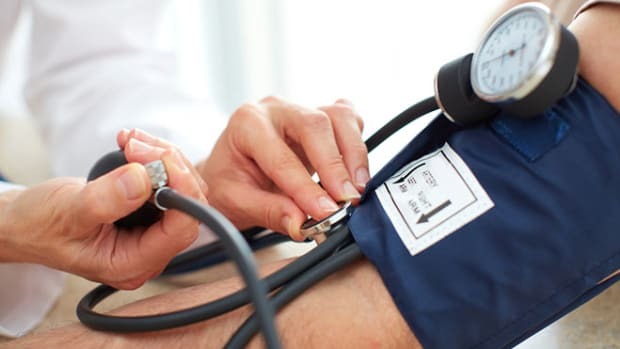 While the organization endorsed the ACA in 2009, it still maintains an official stance against single-payer—a decades-long position that Lindmark says SNaHP is pushing them to reject this summer. Now that the message is taking hold among more and more students, Bruno says the next step is gaining electoral power. He&apos;s running for the Maryland State House on a Medicare-for-All platform, and making his case directly to the people who he hopes will be his future constituents. "We&apos;re knocking on doors every day," he says. "They tell me their stories about scraping together $400 a month just to pay premiums before they get any care at all. They see the need for something better." *Update—August 2nd, 2018: This post has been updated to more accurately reflect the rising numbers of health-care administrative staff.